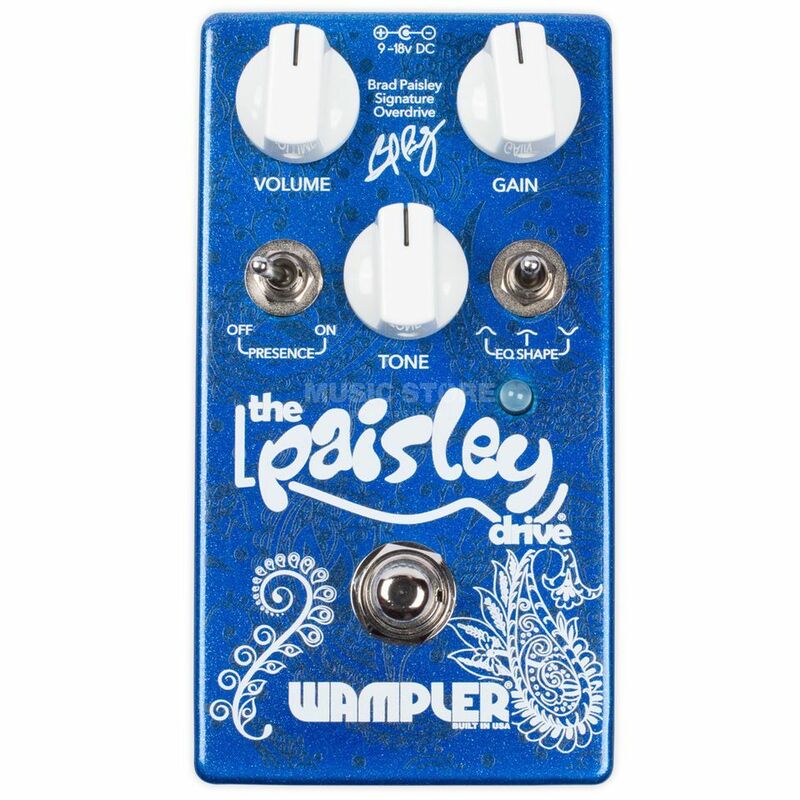 The Wampler Paisley Drive Overdrive Guitar Effects Pedal was created when Brad Paisley's guitar tech requested that Wampler develop a pedal specifically for Brad. His requirements were quite “simple”… it needs to be clean but get crunchy with some “beef” to it. It needs to have a fluid tone when soloing. It needs to add a little hair to the tone but then has to be able to give flat out ball busting gain, oh… but please do not wreck the tonality. It needs to have everything, in a pedal format, without sounding like a pedal. Over a period of months, Brian from Wampler made some circuits and sent them off. There were a couple of “tweaks” here and there to be made and then finally, when official “proto #2” landed it went straight into the live rack and out on the H20 world tour. The inbuilt tonal controls, the presence and mid contour switches, will make this pedal the single most versatile and complete overdrive pedal you have ever owned.